To make a long story short, I told them about the test and was booted from training. Thanks for the feedback. It's what I needed to hear. Moral of the story: Find out how far back they test & be clean for longer than that. And keep my mouth shut about cleaning up. My past issues are my business alone as long as I keep them in the past. The whole point of the test is go back further to see if you are a liar, and if it was habitual. Then they will also throw random tests in. I'm fine with random tests. Hell, I prefer them. I'm cleaning up. Would the recruiter want to know that? I mean, for the sake of honesty... just in case I test dirty even after being clean for the proper amount of time. It's happened before. I'm not sure if that information is even made public or not. I understand, but doesn't the rest of this info about testing come from the word of drivers here on the forum? On the list of companies that follicle test, how about including how far back the company checks? For example, I was thinking about applying to Knight but a driver on here informed me they test 6 months back & I just can't wait that long. It would be helpful to have that info up front. I haven't been driving long, but I'm thinking about becoming a truck driver. Am I kidding myself? Knight does hair test and goes back 6 months so if you're looking to get started before that, you might choose another company. Thanks for the heads-up. I need to get into a school as soon as possible, really. Looks like Knight is off the list. I know some schools don't even do a hair test, but I just haven't found one that sounds like a fit for me yet. One thing is for sure: I'm going to have to clean up. I've been a heavy mmj smoker over the past couple years. It's time for me to clean up, anyway. I remember those days. I had a smoking problem several years ago. I haven't forgotten the worry or the waiting. Check with your companies to see if they do a follicle or ua. Follicle is going to go back much further but I really can't say how far. Good luck Mike. Your goals are certainly attainable. Thanks man. I really appreciate the the positive feedback. What factors make these your Top 2? Well, I noticed on the Features section of the company sponsored training list that some companies offer "No Forced NYC", & I thought 2 things: 1) if NYC is so bad that it's in the job description at some companies that you don't have to do it, then it might be something I want to avoid 2) the fewer things I'm forced to do, he better. Again, my research has just begun. I'll research the hell out of something before I'm done with it. It might turn out that NYC is something I'm willing to do in trade for a particular benefit. I can't believe how affordable all this is. At worst it looks like some of the companies charge a couple hundred bucks up front. For someone like myself hoping to turn his life around, this is an incredible deal. It looks like Knight and Millis are my top 2 picks, but I'm just now starting to research it. One thing is for sure: I'm going to have to clean up. I've been a heavy mmj smoker over the past couple years. It's time for me to clean up, anyway. The 90-day wait should give me some time to work toward getting a car so I can get myself out to a school. You know what's funny? When I moved to Michigan I had to get a new driver's license, take the test all over again & everything. I went to the website & took the practice test, and thought "My God, that was the hardest driver's license test ever!" I didn't even understand some of the terms. I got a C on it. Turns out I went to the wrong page & took the practice CDL test instead LOL Somehow I got lucky managed a passing grade, but it wasn't a great one. Thanks for the study links. How realistic is the no-upfront-cost corporate-sponsored training? And pre-hiring? I'll be honest, I don't have a dime. I've been poor my whole life, & free training appears to be the only way I'll be able to get on top of it. Nope, I'm not a teenager. I just didn't get my license until I was 26. I'm 43 now, & between the times I couldn't afford a car or I had my license suspended for not being insured, I've only got about 5 or 6 (non-consecutive) years of driving experience. 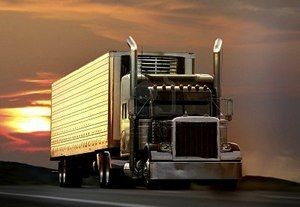 I'm hoping being a truck driver will help me turn my life around, but am I un-hirable?